Description: Darice Foamies are the perfect place to start for any number of craft project. Not only are they fun basic embellishments, kids love them. 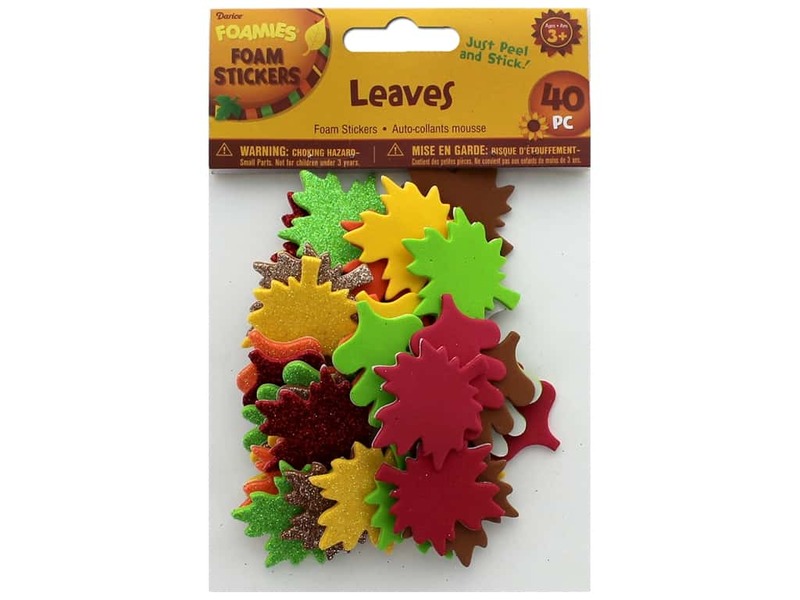 Sticker Glitter Leaves- 40 foam stickers of different types of leaves. Half are covered in glitter. Colors are red, green, orange, brown, and golden yellow. Largest measures approximately 1.13 in. x 1.75 in.